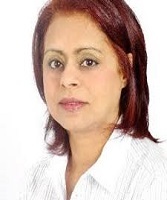 Dr Rozana Huq is an Organisational Behaviourist, Leadership Development Coach, International Conference Speaker, Academic Lecturer, Author, Philanthropist. She is based in UK and specialises in Leadership and Employee Empowerment. She has developed models to implement employee empowerment and has also created a Business Improvement Model to enable SMEs in particular to be empowered. Her other areas of teaching and education are Building Resilience, Stress Management and Well-being. Dr Huq’s research is acknowledged in UK and abroad and she is a well-known international keynote speaker and lecturer. Dr Huq has published journal articles, conference papers and books. She has made a notable contribution to knowledge about Employee Empowerment, Leadership and Psychological Empowerment and has created a Framework for Empowerment to help Businesses and Leaders achieve Excellence. Dr Huq’s current work is on Leadership, Employee Empowerment, Building Resilience.